Welcome to our website. I am so happy you are taking a visual look at TVCOG. We seek to connect our community to Christ and to empower Christians to live out their God-given calling. We do that through inspiring and relevant Bible teaching, passionate worship, and by relentlessly serving and meeting practical needs both inside and outside of our church. We care about Christian community and we desire to make our local community a better and safer place in which to live through the way we love each other and love others outside of our church. I grew up in a pastor’s home and graduated from Anderson University with a degree in music education. I also hold a Masters in Church music from Asbury Theological Seminary and a Doctorate in Worship Studies from The Institute for Worship Studies. I came to TVCOG with my family in 2007 and have found our church family to be an authentic, loving, grace-giving, generous and welcoming to all. Prior to my time here, I served a Church of God in Cincinnati, OH for 12 years where I had the joy of leading worship and doing some administrative and pastoral activities as well. Right out of college, I served as a missionary to the island of Cyprus in the Middle East. In 2017, God allowed me to write a book, “Impact, That’ll Leave a Mark” which challenges believers to be transformers of the culture as they are bold witnesses for Christ. My greatest life blessings are my wonderful husband, Thom, and two children, Hannah, and Joshua. We enjoy traveling and playing games together. I am an avid UK Basketball fan (which requires much grace from our congregation) and enjoy movies, music, the sound of the ocean, and being physically active. Our family would love to meet yours. I hope to see you Sunday at 10:15 am for our service! Rev. 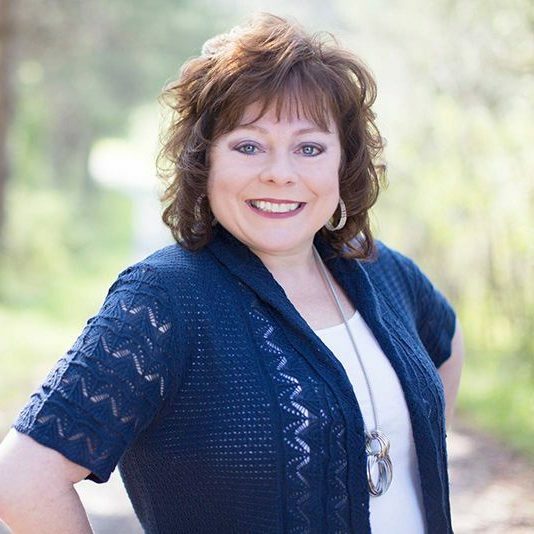 Dr. Melissa Pratt has been the Senior Pastor of the Teays Valley Church of God in Scott Depot, West Virginia since February of 2007. Prior to accepting that call, she served as the Assistant Pastor of the Dayspring Church of God in Cincinnati, Ohio for twelve years. Melissa is a 1991 graduate of Anderson University and a 1995 graduate of Asbury Theological Seminary. She served the Church of God as a Special Assignment Missionary to the island of Cyprus in the Middle East between college and seminary. She received her Doctorate of Worship Studies from the Institute for Worship Studies in 2007. In addition to her pastoral work, Rev. Pratt is a conference and retreat speaker, preacher, worship evangelist, and author of the book, “Impact-That’ll Leave a Mark”. Dr. Pratt’s vision for the Teays Valley Church of God is that they be led by the Holy Spirit to become a people who connect their community to Christ and connect Christians to God’s calling.